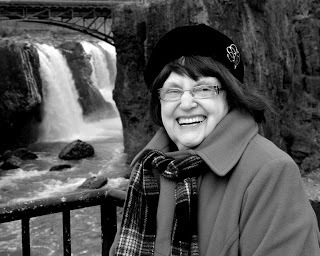 Founded in 1979 by Maria Mazziotti Gillan, the Paterson Literary Review began as a mimeographed publication and, in the more than three decades since, it has become one of the most well-respected resources for poetry in the country. The journal has published many poets, including Allen Ginsberg, William Stafford, Ruth Stone, Sonia Sanchez, Jan Beatty, Laura Boss, Marge Piercy, Martín Espada, David Ray, and Diane di Prima. The 2019 Issue #47 of the Paterson Literary Review features poetry, fiction, essays, memoir and reviews, and includes all the winning and honorable mention poems for the 2017 Allen Ginsberg Poetry Awards. Submissions for issue #48 (2019-2020) of the Paterson Literary Review will be accepted June 1 - Sept. 30, 2019. The deadline for submissions for the Allen Ginsberg Poetry Awards is Feb. 1, 2020. The Poetry Center sponsors three annual literary contests and hosts the Distinguished Poets Reading Series and poetry writing workshops.